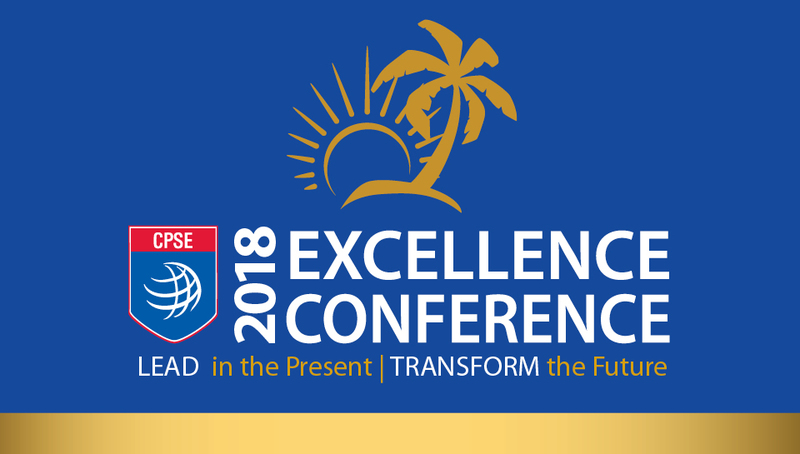 Over 500 people have come to Orlando for the 2018 CPSE Excellence Conference! We were welcomed by Chief Otto Drozd, CFO, from the Orange County Fire Rescue Department, and then things were kicked off by the new CPSE President Allan Cain, CFO, and CPSE Chief Executive Officer Preet Bassi with a recognition of the people that make CPSE’s activities possible, the volunteers, staff, commissioners, and board of directors. 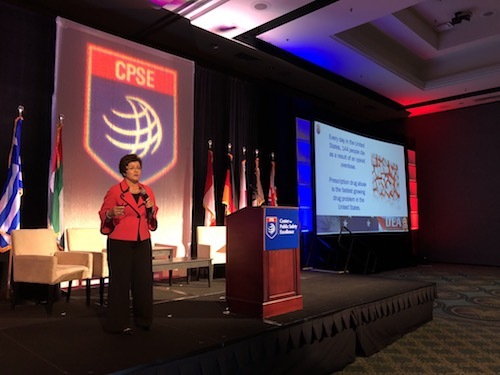 CPSE President Chief Cain and CPSE Executive Director Preet Bassi then came on stage with an update on what CPSE has accomplished over the past year as highlighted in the 2017 Annual Report. 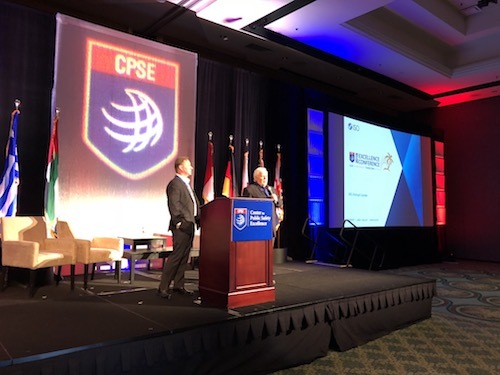 A series of special announcements and recognitions followed, starting with the establishment of the Randy R. Bruegman Agency Innovation Award in honor of Chief Randy Bruegman, CFO, who recently stepped down as CPSE President. It was created in recognition of his quarter century of dedicated service to the Center for Public Safety Excellence between 1992 and 2017. 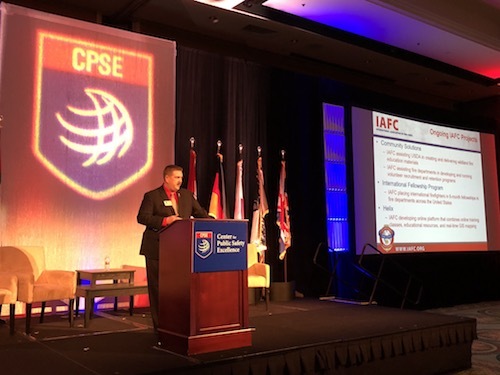 This annual award will be presented to an agency that is internationally-accredited by the CFAI and has worked collaboratively within their agency and community to innovate a practice leading to improved outcomes that could serve as a model for the greater fire and emergency service. The goal of the award is to recognize, incentivize, and advocate for innovation in the fire and emergency service. The first award will be given at the 2019 Excellence Conference. 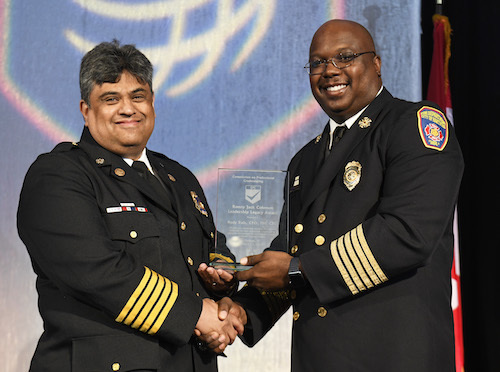 Chief Rudy Ruiz, CFO, CTO, FM, from the Perrysburg Fire Division in Ohio is this year’s recipient of the CPC Ronny Jack Coleman Leadership Legacy Award. 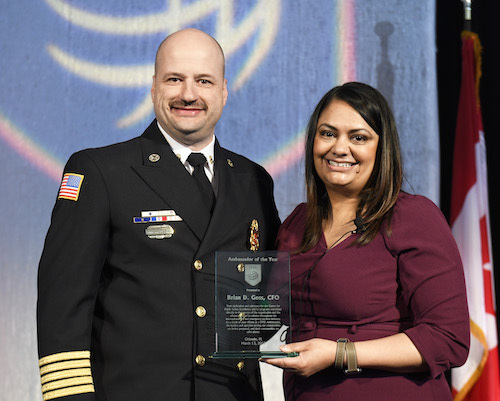 This award recognizes an individual committed to elevating the fire and emergency service profession through mentoring, teaching, and sharing outstanding contributions. Chief Ruiz is a member of the first 50 to be designated as a Fire Officer, and then went on to be designated as a Fire Marshal, Chief Training Officer and Chief Fire Officer. He has served as a CPC Peer Reviewer since 2013, is Chair of the IAFC Professional Development Committee, teaches Fire Officer I, II and, III for the Ohio Fire Academy and is active in the Ohio-Michigan-Indiana Credentialing Consortium. 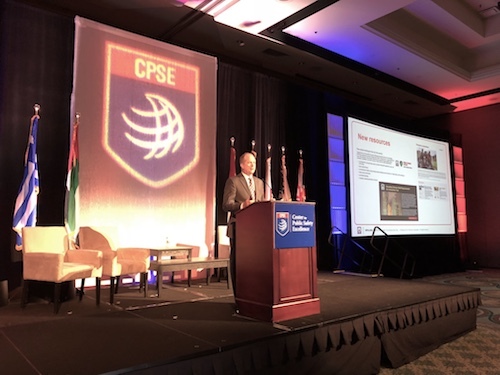 Chief Brian Goss, CFO, from Brentwood, Tennessee was given the CPSE Ambassador award for going above and beyond in support of accreditation, credentialing, and CPSE as a whole. Chief Goss received his Chief Fire Officer designation in 2010 and is a coordinator for his state’s Consortium. He is a strong proponent of accreditation and credentialing and encourages his staff to serve as both CFAI Peer Assessors and CPC Peer Reviewers. Listen to Chief Goss accept the award. 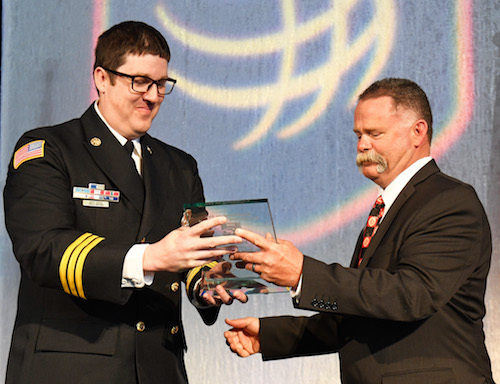 Assistant Chief Brad Brown, FO, of the Grand Rapids Fire Department in Michigan is the recipient of the 2018 CFAI Ray Picard Award. The award recognizes leadership and outstanding contribution to the CFAI and the fire and emergency services. Chief Brown serves as a mentor to other departments going through accreditation, is co-chair of the Michigan-Ohio-Indiana accreditation consortium, and has served as a peer assessor on a number of teams. He is a graduate of the NFA’s Executive Fire Officer Program and received his designation as Fire Officer in 2013. Listen to Chief Brown accept the award. 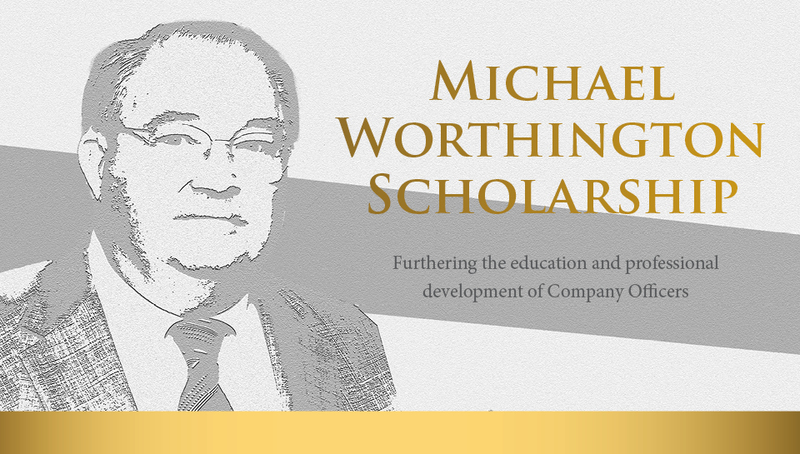 The Mike Worthington Scholarship was established in 2016 to honor previous Board Member Mike Worthington, who passed away in September 2015. This Scholarship is awarded to up to five company officers who, like Mike, exemplify continuous improvement and encourage others to constantly grow and improve in their profession. The winners this year are Captain Matthew Clark, Williston (ND) Fire Department; Captain James Short, Bozeman (MT) Fire Department; Captain Chris Simpson, City of Kingman (AZ) Fire Department; Captain Mark Smith, Central Jackson County (MO) Fire Protection District; and Captain Adam Taft, Palm Beach County (FL) Fire Rescue. Congressman Curt Weldon gave a riveting keynote presentation. 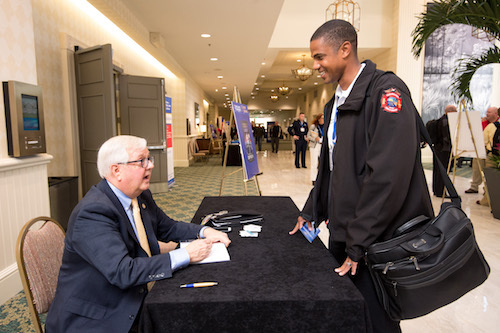 Before serving in Congress, Congressman Weldon was a volunteer fire chief and mayor in Pennsylvania, and was instrumental in creating the Assistance to Firefighters Grant project that provides grants for equipment, staffing and fire prevention. He told about the path he traveled pushing for this program through Congress, which at the time was not focused on the fire service. To drive this point home, he told about a fire that broke out in the House Speaker’s Office, right down the hall from his own office, when he was in his first term. With a long career in Congress, he had stories to tell, and concluded with one about his trip to Russia following the Beslan school tragedy that killed 334 children and adults. That trip led the Congressman to form One World for Life to help unify first responders across the world “with the information, tools and resources necessary to save lives and protect property.” You can find more information at www.oneworldforlife.org. Congressman Weldon then held a book signing for his new book, “Awakening the Sleeping Giant” that each attendee received. One of the popular events that was brought back from prior years was the City Manager’s Panel. 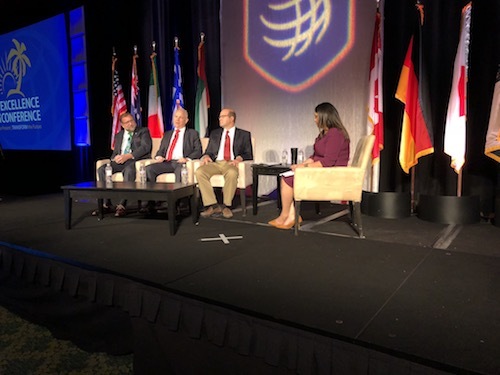 CPSE CEO Preet Bassi moderated a discussion with City Manager Jeff Pomeranz from Cedar Rapids, Iowa; Town Manager Tom Harmer from Longboat Key, Florida; and Town Manager Steve Riley from Hilton Head, South Carolina. This was a great opportunity to hear about the importance of accreditation and credentialing from a city manager’s perspective. 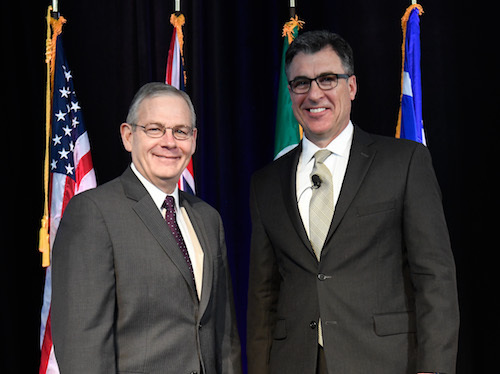 We then heard industry updates from NFPA President Jim Pauley; IAFF’s Dr. Lori Moore-Merrell; Brad Bain and Tom Weber from ISO; Chief Norris Croom, CFO, CEMSO spoke about IAFC; and Chief Rick Mason, CFO told us about the latest from NFFF. 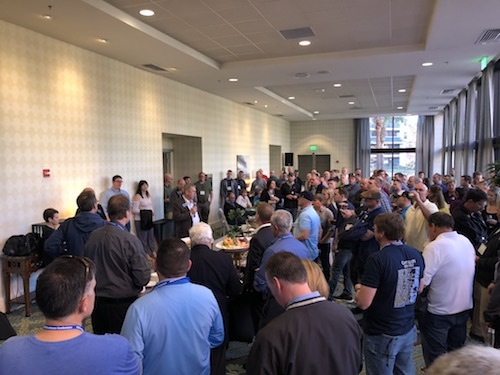 We ended the day with a fundraiser reception for the National Fallen Fire Fighter Foundation, which is an annual event at the CPSE Excellence Conference. This is a great opportunity to support an organization with an incredible cause, and we’ll have an update on how it all went in tomorrow’s briefing. 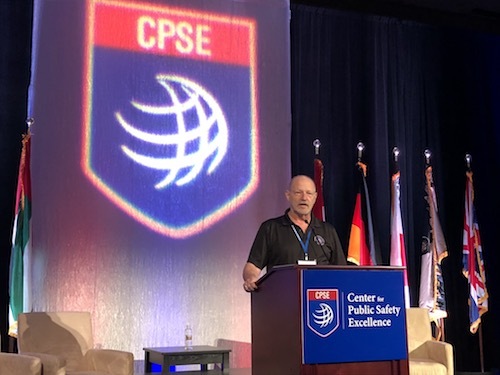 Be sure to follow us on Twitter @CtrPubSafExc or Facebook @CenterForPublicSafetyExcellence for updates from the Conference.